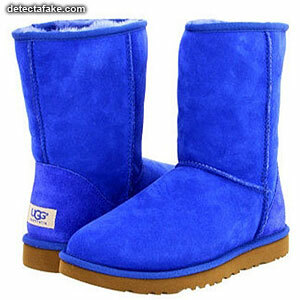 Ugg brand boots emerged as a fashion trend in the U.S. in the late 1990s and as a world-wide trend in the mid-2000s. 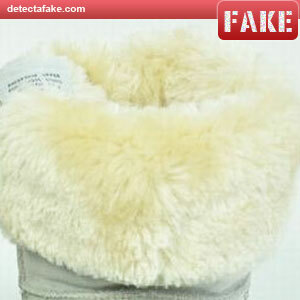 In recent years, many fake Uggs have been flooding the market. 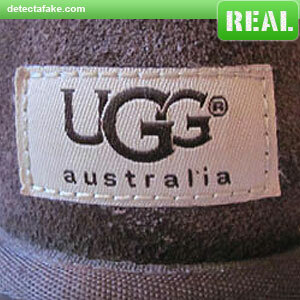 Below are a few steps to determine if your Uggs are real or fake. The first thing to look for is overall quality. If you see poor quality stitching or anything misaligned, you probably have a fake. 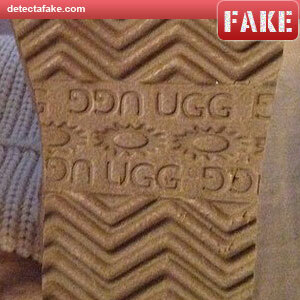 Also, if you are purchasing new Uggs on the internet and the price is 50% or under, assume they're fake. Don't fall for the "Huge Ugg Sale". Next, look at the lining. 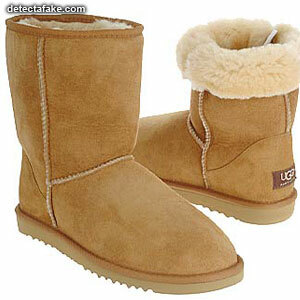 Authentic Ugg boots have a sheepskin lining which is very soft to the feel. 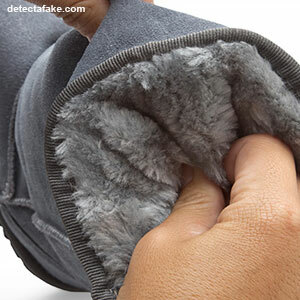 Fakes are made of fur and are much more stiff. Next, grab the lining and pull it. 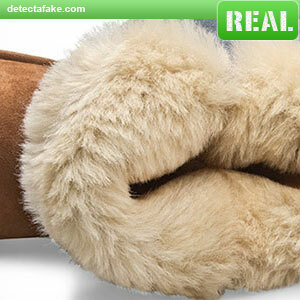 With fake Uggs, you can usually pull the fur out easily. If this happens, they're fake. Next, look at the soles. 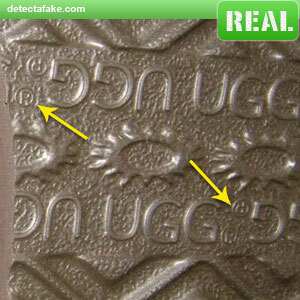 You should see registered marks (circle with an "R" inside) next to the "UGG". If you don't see it, like the one on the right, they're fake. Next, look at the tag inside the boots. They should say "Made In China", if they're real. 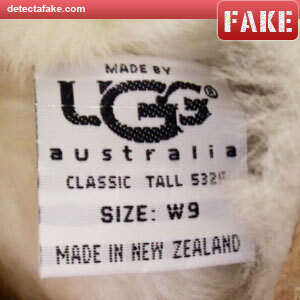 The fake ones will often say "Made In New Zealand" or "Made In Australia". 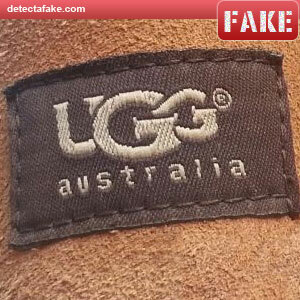 And last, look at the UGG tag on the back of the shoe. 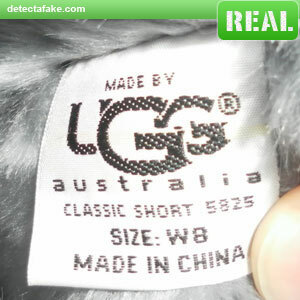 Notice on the fake, the distance between the stitching and the letters on the top and bottom. The fakes have much more space. Also, look at the thickness of the "UGG" lettering. Much wider on the fakes and the overall quality is poor.